Cellulite Disappear Review (2019)- Results in 21 Days? Cellulite Disappear Review – Results in 21 Days? If you’re a woman, chances are good that sooner or later, you’ll have to deal with cellulite. That’s pretty much a given, as it has a lot to do with genetics. While it can occur in men, it’s actually rather rare; cellulite is largely a problem faced by women and few of them manage to avoid it. It’s not dangerous, but it isn’t particularly attractive and most women would prefer not to have cellulite if they could either avoid it or find a way to get rid of it. Cellulite Disappear, a book by Helen Kirshner, offers a plan that claims that you’ll see results in just three weeks. That’s a tall order, but it’s a result that most women would welcome. 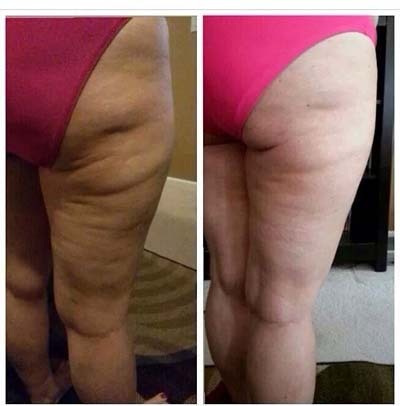 I thought I’d take a closer look and see what Cellulite Disappear is all about. Is Cellulite Disappear a scam? Click here to visit the Cellulite Disappear Website. Read on for the full Cellulite Disappear review. Cellulite Disappear is sold as an ebook in PDF format. This format is readable on desktop PCs, Macs, tablets, and even smartphones. It’s portable and you can download it at any time of day. That’s convenient, as you won’t have to wait for the mailman to bring the book to you. The first book offers to show you how to get healthier by flushing toxins out of your body. The second one provides some diet suggestions to give you more energy. While these book aren’t essential, they’re a good fit for a book on removing cellulite, and are better bonuses than many of the free books I see included with products in the health and fitness niche. As for the main Cellulite Disappear book itself, it runs 78 pages. 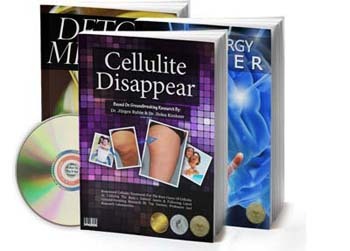 It’s worth nothing that while the name Dr. Helen Kirshner appears on the sales page for Cellulite Disappear, the name does not appear anywhere in the book, nor does the book have any author credit at all. Dr. Kirshner may have written the book, or not. I have no way of noting. There’s a copyright notice but no mention of author. As with most books of this nature, the first chapter explains the condition, in this case, cellulite. You’ll learn what it is and what it is not. You’ll learn about the conditions that cause it to appear and factors that you can (and cannot) control regarding whether you’ll get it or not. The next section covers conventional treatments for the condition, including creams, exercise and liposuction, along with their pros and cons. The second chapter covers common things people believe that they “know” about cellulite and whether they are actually fact or myth. There were a couple of surprises in there, but the first two chapters are largely of an informative nature. The next chapter is where the author of Cellulite Disappear explains that in their opinion, cellulite in the body is regulated by a protein called IGF-1. Apparently, if you have more of this protein in your body, you’ll be less likely to have cellulite, and if you can increase the amount of this protein in your body, you can minimize or even eliminate the condition. With this, the book then proceeds to offer a 21 day Cellulite Disappear diet plan that encourages you to eat foods that will cause your body to produce more of this IGF-1 protein. While the Cellulite Disappear book is not promoted as a weight loss book, the author concedes that you may lose weight while following the plan. There’s good reason for that, too. The diet consists of one that is healthy, consisting of lots of fruits and vegetables, a modest amount of protein, and little of the usual things that one finds condemned in such books – complex carbohydrates, starches and sugars. A meal plan is included for all 21 days of the program, as are simple exercises that you can perform while at home or even at work. The exercises are not offered in a chapter of their own. It’s suggested that you exercise during some days of the diet plan, and on those days, the appropriate exercises are discussed within that chapter. For the Cellulite Disappear diet plan, you’ll have a list of recommended foods and a list of foods to avoid. The meal plan suggests a breakfast, snack, lunch, snack, and dinner for each day of the 21 days of the program. You’ll also have a few recipes included to help you incorporate the right ingredients into your diet to increase the IGF-1 protein. I found the “Simon and Garfunkel Chicken” to be a rather interesting entree that looked as though it would be quite tasty. As I’m male, I can’t say whether the Cellulite Disappear plan will actually get rid of your cellulite in 21 days. The diet appears to be a healthy one, and the plan recommends both diet and exercise, so it’s hard to fault the plan. I also would have preferred to see all of the exercises in a section of their own, rather than mixed in throughout the book. On the whole, however, if you try this diet, you’ll likely find yourself eating a more healthy diet than you were before. Is Cellulite Disappear a scam? 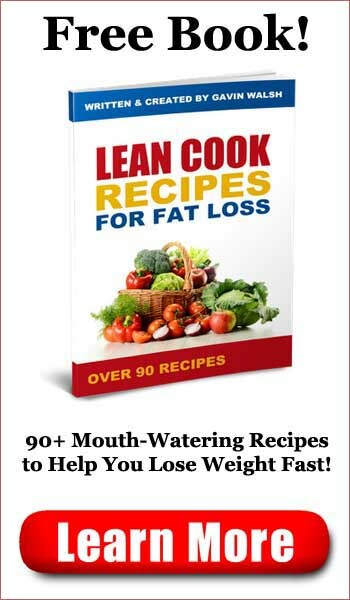 Not really; it’s a reasonably well-written book that covers the topic fairly well and offers a diet that appears to be healthy. Since everyone could benefit from a diet that’s rich in fruit and vegetables and offers regular exercise, many people would likely benefit from the 21 day program offered in Cellulite Disappear. It’s not as well organized as I’d have liked, and I’m not even sure it was written by the doctor who claims to be selling it. I’d recommend that you speak to your doctor before trying this diet. Cellulite Disappear is moderately recommended. It won’t be for everyone. 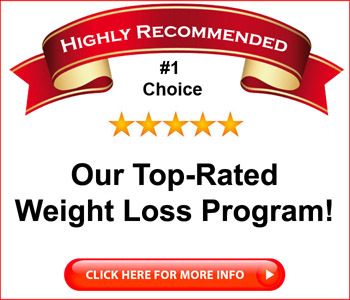 Old School New Body Review - Lose Weight in 90 Minutes a Week?